I love these words- Childhood in the Garden – from Kelly at Little Fall Creek. They remind me of another recent post Teaching Your Children to Grow Food from a friend, Sarhn at Greener Me that echo the same sentiments. Both women speak of how gardening, and particularly growing their own food, has connected the generations in their families in such delightful ways they (perhaps) had not expected: from their grandparents, to themselves, and on to their sweet toddlers. That both women have chosen to blog this week about how their gardens sustain and facilitate the intergenerational connections in their lives kinda spoke to me. Gardening is definitely not a ‘cool’ thing to do. Growing kale never gets the same attention as the latest i-Product release or as many hashtags and retweets as Kimye’s latest escapades. And yet there is something so very grounding and real about it, something that is definitely lacking in our modern cyber-world. I can completely relate to the feeling Kelly and Sarhn describe when you see your kids getting involved and learning in the garden as I did by my Grandmother’s side so many years ago. The connectivity. The realness. The *feels* of it all. I’m starting to think that instead of Lexapro it is gardening that is the ultimate counter-balance to all the stressors of our digital world. 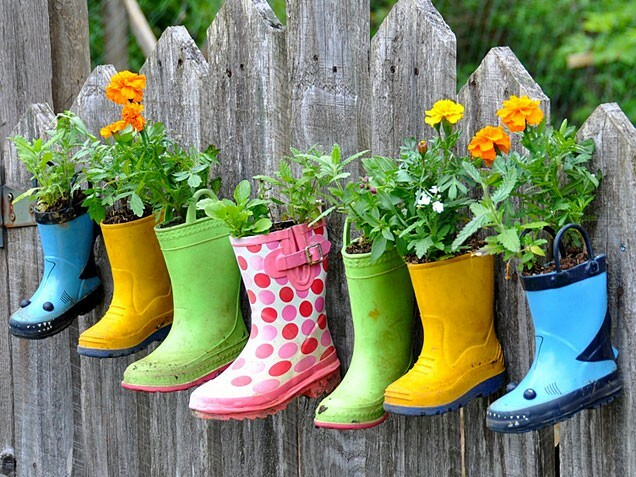 Studies have proven the therapeutic benefits of gardening – see here – and now there is a whole thing about horticultural therapy and how gardening can help cure depression. All stuff our grandparents innately knew that we seem to have forgotten. ‘Coz let’s face it. You can’t get more real than planting a seed, watering it, nurturing it, watching it sprout and grow, finally harvesting the fruit and then composting what remains to be returned to the soil for the next cycle. You have to put time and effort in to get a result. You have to try again when the bunnies eat all your lettuce seedlings. You have to take a long term perspective and not get hung up on small stuff. Definitely none of the instant gratification we are all so accostumed to these days. All very Circle-of-Life and a poignant reminder about what is real, what is important, what really matters in this crazy world we live in. Family. Food. Love. Persistence. Kindness. 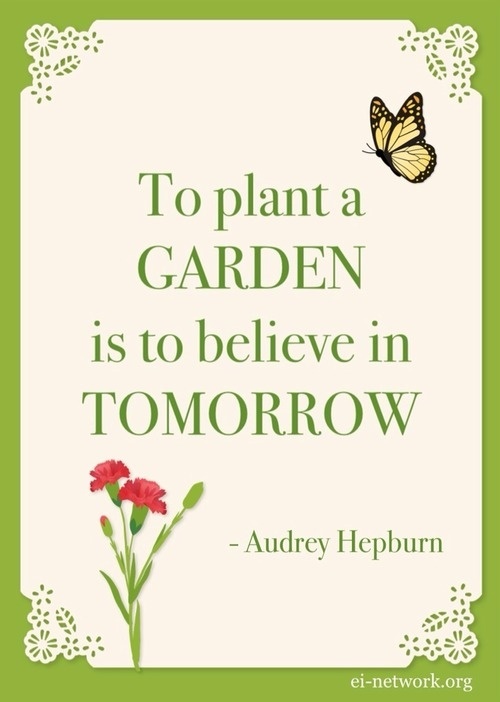 Audrey Hepburn said “To plant a garden is to believe in tomorrow”. Sounds corny but I think she’s right and this sentiment touches on what we are trying to get at here. That our gardens are not just about growing veges. That they are bigger than that. That they somehow feed our souls, nourish our families, and create memories and legacies that will persist long after we are gone. I wish I had had a garden when my boys were very small. Now they are bigger they are not quite as entranced by yellow sour grass flowers as they once may have been. Yet my hope is that digging in the garden will help to instill in them valuable life lessons, lessons about sustainability, stewardship, and love, and that they find the same renewing, restorative, therapeutic benefits that I have found amongst the leaves. As well as some awesome heirloom tomatoes. What a beautiful post young lady. Thankyou for the shout out. To grow your own food is to be a modern alternative rebell – doing it yourself and in your own way. I love being connected to the seasons and our food production and teaching our Little One.